If you ask any organisation whether they can draw a process flow of how they manage say a customer order or deal with a purchasing request, they would virtually all say yes. But that process flow would in reality deal with perhaps 90% - 95% of typical cases. What is critical to an organisation's performance improvement however is to understand why the remaining cases do not adhere to the standard process flows. If you are dealing with hundreds of thousands of customer orders, then how do you identify and then analyse those orders that did not conform? The answer is QPR ProcessAnalyzer, an Automated Process Discovery (process mining) tool. 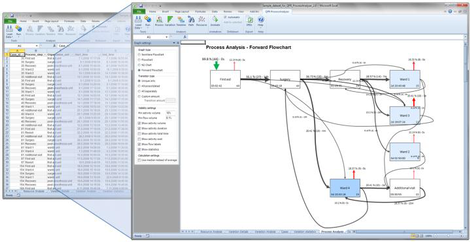 ProcessAnalyzer automatically 'draws' a process flow of every transaction. This allows you to identify very simply those transactions that do not comply with the standard process. Once identified you can carry out detailed analysis to fully understand the non-compliance. Within every organisation, there are numerous IT system databases and log files that contain invaluable transaction data that describes how that particular organisation executes its processes. But virtually every organisation misses out on the opportunity to fully understand how these process interact. The reason for this is simple, it is virtually impossible to analyse these processes in the traditional way. However, using ProcessAnalyzer organisations are now able to access this previously untapped wealth of knowledge. 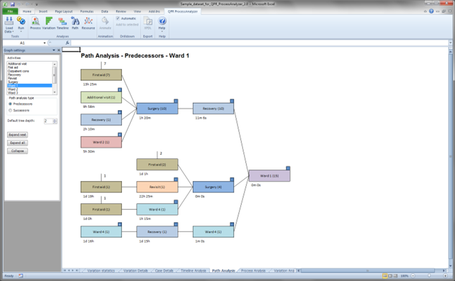 QPR ProcessAnalyzer produces a highly visual re-creation of a process from the source transactional data. Even if the analysis is carried out on partially erroneous and incomplete data, the errors do not have to affect the results as they can be identified and filtered out of the analysis process. With traditional analysis, it generally requires the manual calculation of statistics, which by implication means a very methodical hands on approach. As an example, even a single erroneous piece of data can critically affect the average lead time of a process. Enable an organisation to save time and money when compared to traditional, manual process discovery. Provide users with a fact-based "as-is" view of their organisation's processes. Enable users to track changes and monitor process improvements as they unfold. For more information on QPR ProcessAnalyzer, please visit our papers / fact sheets download page.